Quebec's Director of Criminal Prosecutions has ruled against filing charges in the case of a dog that bit the grandchildren of its caretaker in Montreal North last August. Quebec's Director of Criminal and Penal Prosecutions has ruled against filing charges in the case of a dog that bit four children and two adults in Montreal North last August. According to the police report on the incident involving two of the children, on Aug. 20, 2018, a 62-year-old woman took the dog in with the intention to transfer it to the SPCA. The dog bit the woman's four-year-old granddaughter. The dog was locked in the house and the child was taken to hospital, where she received 16 stitches to close her head wounds, according to police. Later that same day, the dog escaped the apartment and attacked the girl's seven-year-old brother, biting hard enough to break his arm. The woman and a neighbour who came to help both suffered minor injuries. Police seized the animal that same day. Quebec's prosecution service, known by its French acronym DPCP, announced Monday that it has fully reviewed the file that was handed to it by the Montreal police service. "The prosecutor who analyzed the file has informed the injured parties that it is not in a position to prove that a criminal offence took place," said DPCP spokesperson Jean Pascal Boucher. 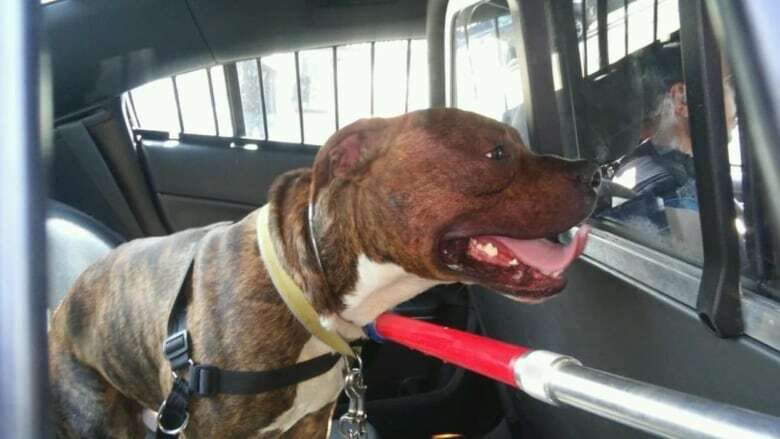 The dog was slated to be euthanized since a dog that bites and lacerates more than one person must be put down, according to the City of Montreal's animal control bylaw. But the decision to euthanize the dog, described by police as "a one-and-a-half-year-old pitbull that weighed 70 pounds," was put on hold while the case was under investigation. A civil suit to prevent the dog's death, brought by Daniel Goldwater, is to be back in court on Thursday, according to a spokesperson for Montreal's SPCA. "We are under instructions from the City of Montreal not to proceed with the dog's euthanasia until after that case is decided," Anita Kapuscinska said in an emailed statement. Goldwater is now working to get the dog to a shelter in the United States, according to Radio-Canada.